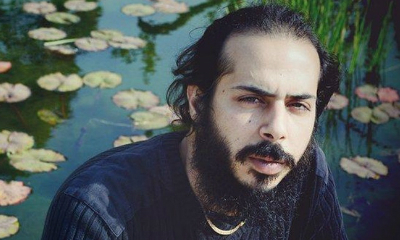 The Israeli poet Roy Hasan is the leading exponent of the Ars Poetica movement, ever since Ha’aretz published his programmatic ‘The Land of Ashkenaz’ in its literary supplement, three years ago. The name itself is the brilliant find of Adi Keissar, a journalist writing on Mizrachi culture. ‘Ars’ is Hebrew slang for pimp and a derogatory term to describe Mizrachi men. Keissar, following Hasan’s lead turned it into a badge of honour and simultaneously signaled that we are dealing with a new poetic programme, a million miles removed from Horace’s ‘Ars Poetica’ which informed western poetics and thereby Ashkenazi poetics for the last two millennia. The grand old man of this movement, although he himself rejects the label, can be said to be Erez Biton, about whom a little more later. In 2005, 61% of Israeli Jews were of whole or partial Mizrachi ancestry, i.e. Iraqi, Iranian, North African, Yemenite, Pakistani or Indian. Jews from Europe are known as Ashkenazim, whereas those from Spain, Portugal and the Mediterranean region are the Sepharadim. The political, cultural and military elite of Israel both before and after the establishment of the state in 1948 was Ashkenazi. Labour Zionism was the dominant culture, building collective kibbutzim and moshavim. Political Zionism was the other camp, which appealed to the international community in the struggle to establish a state for the Jewish people. Histadrut (Jewish trade union federation) and Hagana (the forerunner of the army of Israel) were both staunchly labour institutions. Leading figures were David Ben Gurion and Golda Meir. The military elite, Moshe Dayan, Shimon Peres and Yitchak Rabin for instance, were all labour. Ashkenazi culture was and is in many respects the dominant one. Its literature stems from the canon of Russian, Polish, west European literatures in both prose (novelists like A.B. Yehoshua, Meir Shalev, David Grossman and Amos Oz) and poetry: Bialik, Leah Goldberg, Dahlia Ravikovitch, Nathan Alterman, Nathan Zach, Tuvia Ruebner, Yehuda Amichai and Haim Gouri who died very recently. Ruebner has been the subject of a PTC workshop in the past and is represented on the website. You only have to see the Bauhaus architecture in Tel Aviv to get an idea of the Ashkenazi mark on the culture of the country. Mizrachi poets have not always claimed their Arabic origins as their home turf. Discrimination and denial of cultural identity go some way to explain this. An example is Nurit Barel, born in 1977 to parents who immigrated from Lybia and settled in Ashkelon where they adopted Ashkenazi ways in cooking, dress and music. Barel is the prose editor of Yediot Achronot, a national paper and is writing a Ph. D. on Dahlia Ravikovitch. She says her literary work is rooted in her academic studies. Roy Hasan is seven years her junior. He is Mizrachi, from Moroccan parents, but his take on his literary identity is very different. He is not academic. He grew up in a poor Mizrachi community in Hadera. He was a cook in the army and in civilian life for some time afterwards. Haim Gouri, in a contrast which Israelis appreciate was an officer. Hasan claims hiphop, the Wu Tan Clan, rap and Jay-Z as his template. Instead of internalizing Ashkenazi style and tropes he opposes them explicitly, for instance in his poems ‘In the land of Ashkenaz ‘ and ‘What is Mizrachi In you?’ He references, in hostile terms, Ashkenazi poets who said derogatory things about Mizrachi culture, particularly Zach and Kaniuk. Mizrachi culture is most evident in the music of Israel. That is a battle that has been won. You don’t hear Chava Alberstein so much anymore, or Arik Einstein, or Shalom Chanoch. You hear Sarit Hadad, Idan Raichel, Geva Alon (indie), Shlomi Shabat (Mizrachi/Sephardi, popular), Aviv Geffen, Esther Rada (Ethiopian jazz/funk), or Omer Adam (chart topping). In literature we don’t see the same impact, but things are shifting. About three years ago the left/liberal daily Ha’aretz published Roy Hasan in its cultural supplement and raised his profile and that of the social issues involved. The article focused mainly on the Mizrachi - Ashkenazi divide and discrimination in Israeli society by printing his poem ‘If there will be peace all the arsim will come’. His other themes, such as manual labour, working class life, urban environment, family and depression did not get the same attention. But it started the ball rolling. Erez Biton, whom I mentioned earlier is a much laureled poet in his eighties who was a little boy when he arrived in Israel from Morocco with his parents. Although he rejects the “founding father” label, he is the éminence grise of the Mizrachi cultural emancipation. He chairs the Biton committee, a working group who advise the culture minister Naphtali Bennett on the state of Mizrachi culture, history and literature in Israeli education. Their recommendations include that Roy Hasan’s poetry should be taught as part of the national curriculum. It looks as if things really might change.